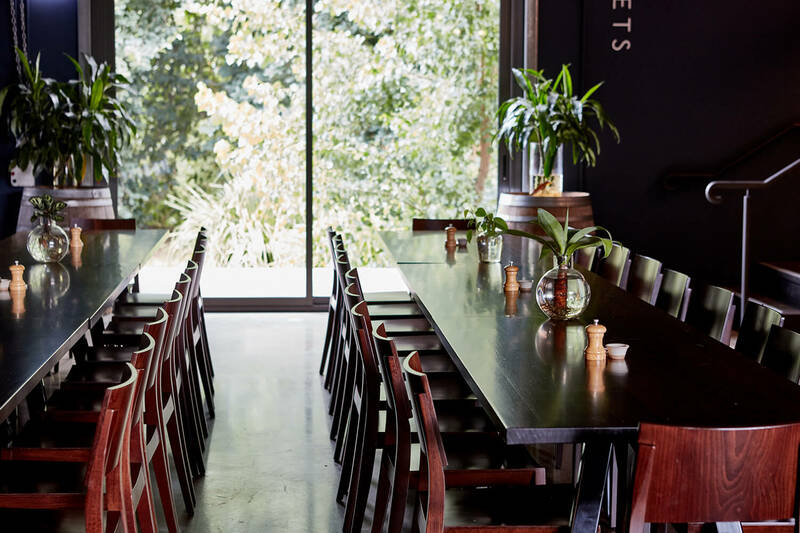 Come and visit us at our home in Healesville (we call it IBHQ) for delicious wine, local produce, artisan pizza and tasty paella, or enjoy a non-wine option such as our real cider, local beers and spirits and great coffee. 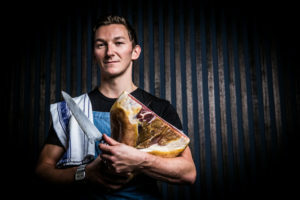 It’s an urban cellar door, restaurant, bar and your home away from home, so swing by relax and enjoy. 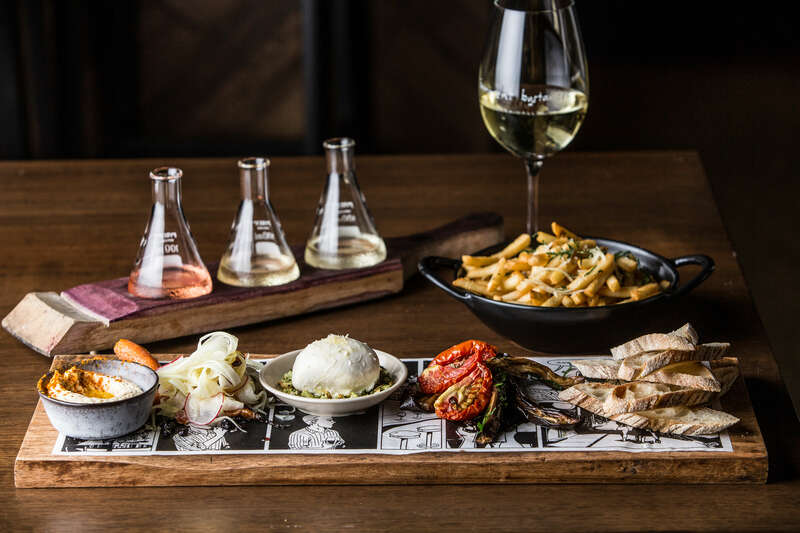 We think our wines are best enjoyed with good company and great food, so we crafted our menu with sharing in mind. 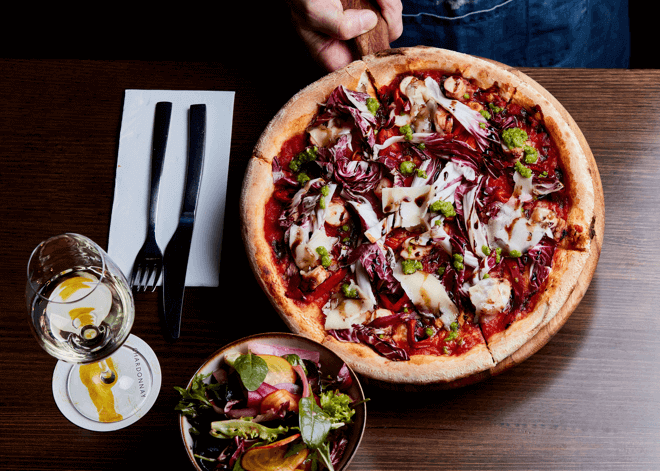 Created using fresh local Yarra Valley ingredients and inspired by classic dishes we love, our food matches our wines – delicious! Innocent Bystander is the friendly type, we like to keep things relatively low key, so our tasting bar is a judgement free zone. 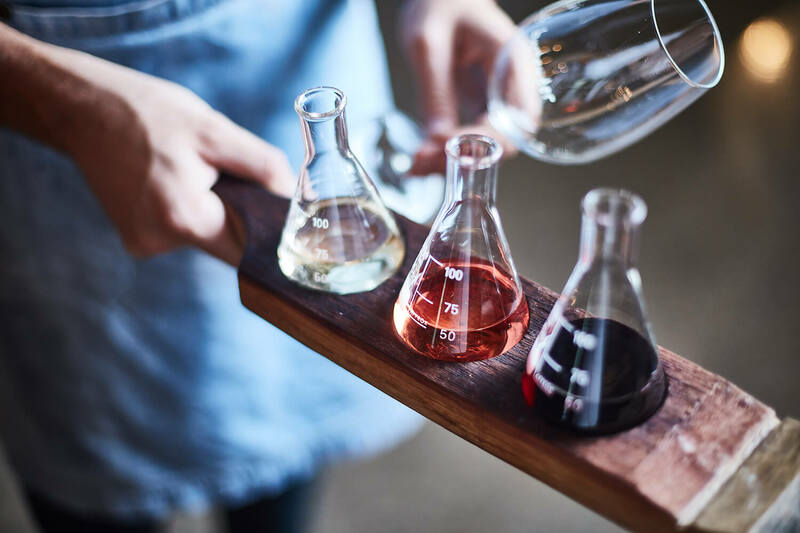 Whether you fancy a flirty Moscato, or are searching for a deep, soulful Pinot Noir – we’ll tailor your tasting experience to you. 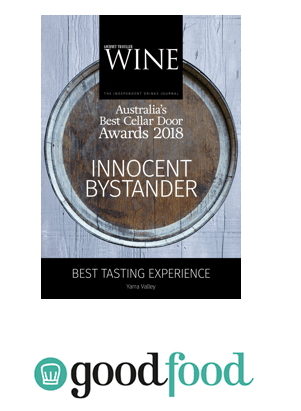 We serve the range of Innocent Bystander wines fresh from temperature-controlled, 100% recyclable kegs. It’s the same wine as in the bottles, just served by the glass or carafe from fancy copper taps. We may also have a couple of limited release wines available for you to try. We offer a variety of tasting choices including self-guided tasting paddles, our tasting bar, wines by the glass or our enomatic tasting machine! So come and choose your own wine adventure. Got a few friends to bring along? We’re cool with that. For groups larger than six people, give us a call and we’ll sort you out with a table. If there’s more than 12 of you then we’ve got a range of set menus available for you. We can take groups of up to 45 people in a semi private area and we can manage groups up to 60 on weekdays. Give us a call on (03) 5999 9222 or email us with your enquiry. And, don’t worry we can handle pretty much all of those dietary requirements.